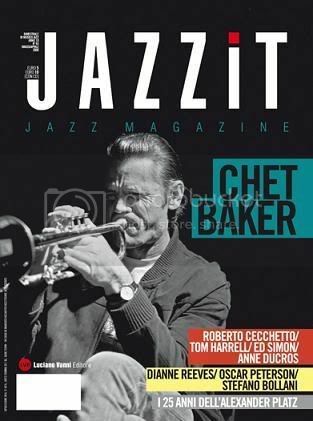 Gianni Bardaro's Page - THE JAZZ NETWORK WORLDWIDE "A GREAT PLACE TO HANG"
This Group is for the new generation of European jazz musicians and not only, whose are giving their contribute to the new identity of European Jazz. "Here's a link for a free download of my new single 'Speak Easy', It's off of my new album 'After Hours'. I hope you enjoy it! You can pick up a copy of 'After Hours' on February…"
"I'm off to St. Tropez, Palermo, Naples and Venice in the Fall. Anyone have any jazz contacts in those places? " "I have have an artist profile page for my career as a jazz saxophone player- check it out and become a fan if you enjoy the music! http://www.facebook.com/hulonsax"
"Hey Everyone! Check out my Facebook and "Like" my page! Let me know what you think! www.facebook.com/HulonSax"
Gianni Bardaro, with his intense and original playing/composing, has been described several times as an artist particularly able to create a delicious mix of overflowing energy and vibrant melody at the same time. Inspired by the dynamic power of sounds, he is always unpredictable, whether in a meditative mood or a playful one, inviting the odience to keep ears wide open and to live in the escaping moment. Born in Formia, Italy and based in Copenhagen, Denmark since 2002, he started to play the saxophone at the age of 11, behind the steps of his father, amatorial drummer. Since then Gianni dedicated himself completely to music. He is educated both in classical music (Conservatorio O. respighi, Latina, diploma 10/10 year: 1995; teacher: Mauro Zazzarini) and in Jazz Music (Conservatorio San Pietro a Majella, Napoli, diploma 10/10 year: 2002; teacher: Bruno Tommaso). 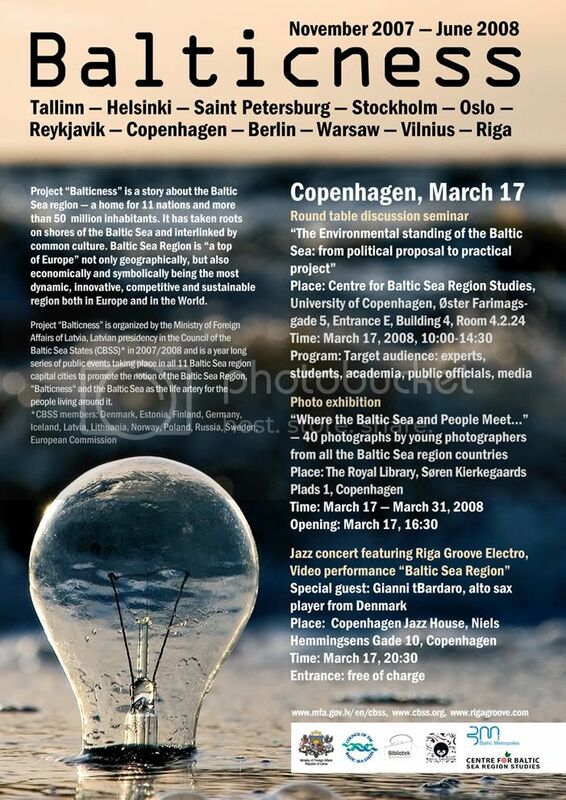 In 2002/03, guest student at the Rytmisk Musikkonservatorium (RMC) of Copenhagen, as a winner of a scholarship obtained from GAI “Association for Young Italian Artists”. In the RMC of Copenhagen, Bardaro studied with well-known Danish musicians such as Lars Møller, Jasper Bodilsen, Morten Lund, Niels Thybo, Christina Von Bülow, Thomas Agergaar, Birthe Skou. Gianni is performing professionally since the age of 14, going across many countries like Italy, Spain, Denmark, Switzerland, Germany, Greece, Tunisia, Colombia, collaborating and recording with several well-known jazz musicians. He performed as additional member for the “Philharmonic Orchestra of Plovdiv and for world-known composers such as Goffredo Petrassi and Roberto De Simone. In Denmark, Bardaro had the opportunity to play also for the Danish Royal Family and the national Danish TV channel DR2. In 2001, he founded the Project Sinestetic Jazz, playing mostly his own compositions. One of them, Song for Dicembre, has been licensed to the English Philips. The jazz ballad was distributed from the Philips company in September 2001, in 20.000 copies all over Europe. 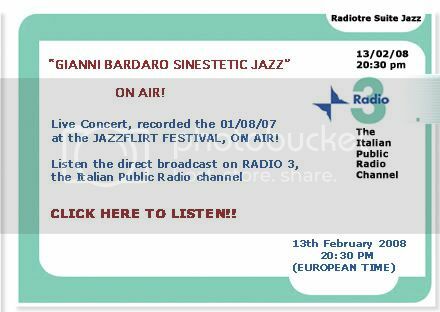 SINESTEIC JAZZ is an open and travelling modern jazz project, created and lead by the Italian saxophone player GIANNI BARDARO. The international quintet (ITALY/DENMARK/NORWAY) is a "Clear example of new jazz vibes" and offers a young, fresh but precise sound with a clear understanding of its musical direction. The band is based in Copenhagen and it has been blessed with very well attended concerts and extremely positive reviews both at home and abroad. The music is primarily original compositions and arrangements by Gianni Bardaro. Synaesthesia – cf. the name – means a mixture of sensory inputs, and this is exactly, what this is all about. Can one taste a colour? Can one touch a scent? Can one see the sound of the music? Gianni Bardaro with "Sinestetic Jazz" translates the synaesthetic experience into delicious jazz music with shadows of latin, mediterranean and scandinavian sounds. * "Gianni Bardaro is an excellent musician, soloist, composer and arranger. His music is fresh, exciting and yet mellow and groovy. His group is tight and cohesive, complimenting each other throughout the CD. All the compositions will take you on a trip and adventure of musical delight. Any avid fan of jazz will be greatly entertain with this CD"
* "Italian composer and saxophonist Gianni Bardaro just released "Overflow", an album full of surprises for modern jazz fans. Featuring musicians from Italy, Norway and Denmark the quintet has built a distinct jazz vocabulary based around Gianni Bardaro's compositions. Balancing between lyricism and swing the album has plenty of memorable moments. The sax-piano-trumpet interactions backed by a bold bass-drum section is clearly a winning formula either drawing melodic lines on Song For Dicembre or blending energetic sax-trumpet grooves on Supernova Latina". * "The Italian saxophone player Gianni Bardaro is an artist who likes to integrate all the emoctional and material vibes of his creation (in this case the Jazz) in order to generate results which go over the simple empatia and applause: energy that flows freely..."
Gianni Bardaro Special Guest Denmark for "Balticness"
RAI - RADIOTRE SUITE JAZZ - Gianni Bardaro Sinestetic Jazz ON AIR!